When a show has nothing but 5-star reviews and is forever-sold-out, there’s pressure to agree with everyone who loved it. 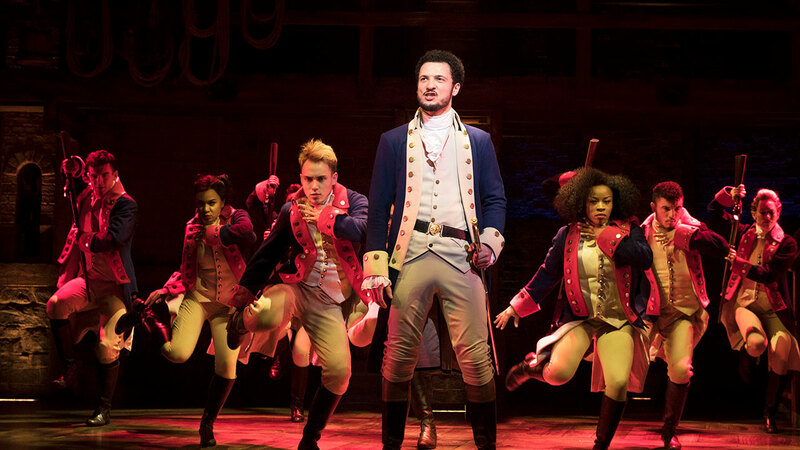 Inspired by a chance reading of Ron Chernow’s historical biography of overlooked American founding father, Alexander Hamilton , the musical, Hamilton, took actor, playwright and composer Lin-Manuel Miranda six years to write. He started working on the ‘Hamilton Mixtape’ after being invited to perform at a White House Poetry Jam. He took a year out to shape spoken word piece, ‘Alexander Hamilton,’ performing it for Barack Obama in 2009. By early 2015 the mixtape evolved into an off-broadway stage show… and the rest is record-breaking, Pulitzer Prize-winning history. Yes, it is. Great, in fact. Set in the 1700’s, the Victoria Palace Theatre’s traditional decor is the perfect setting. Being able to put into visual and audio context what Miranda has done, is mind-blowing. 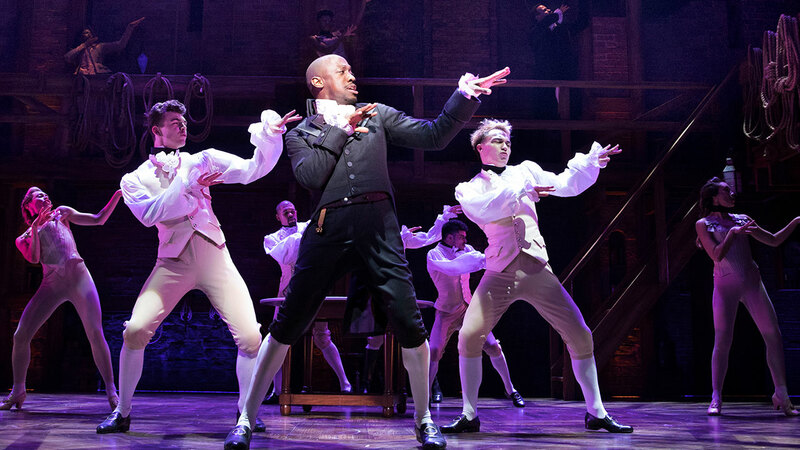 Hamilton is a celebration of Hip Hop’s roots, demonstrating extremely cleverly, it’s power as an art form, a language, and a resonant political force. 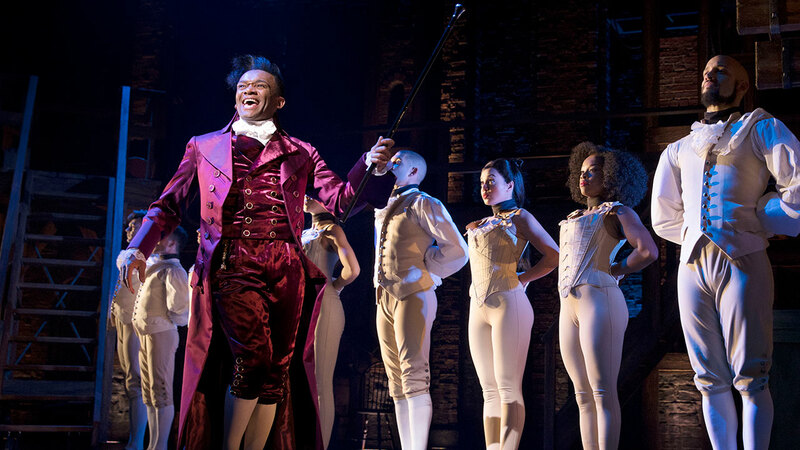 The first act grabs your attention with the first three songs, which set up the story and main characters – ‘Alexander Hamilton’, ‘Aaron Burr, sir’ and ‘My Shot’. Recent RADA graduate Jamael Westman, who plays Alexander Hamilton, is phenomenal. With barely the requisite experience, Westman leads his company like a seasoned professional. 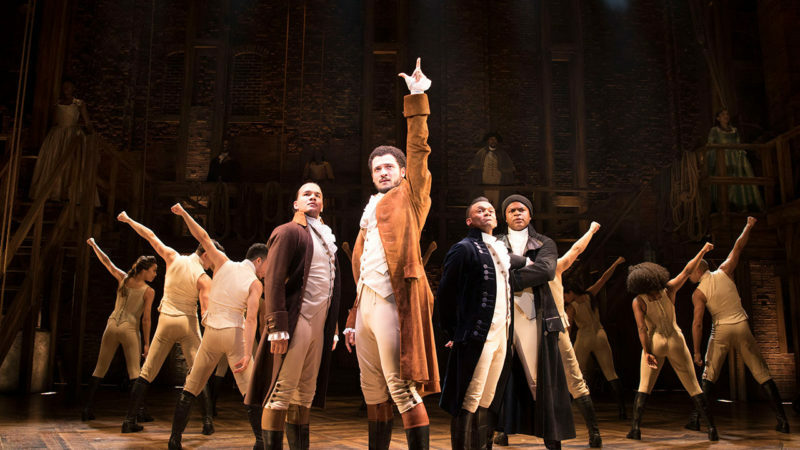 Hamilton is not your everyday musical, Westman and his castmates must rap, sing, dance, act, and emote, to the specific rhythm, pace, cadence, expression, and emotion dictated by each number, which takes more skill than is easily imagined. The rotating floor of the intricate, tiered set, designed by award-winning David Korins, demands extra precision and awareness of its multiple moving parts. 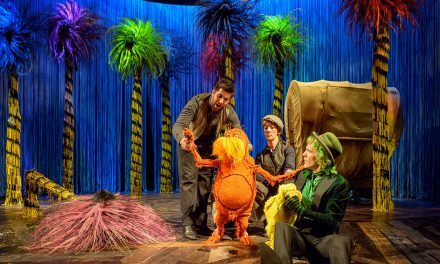 To miss a beat in this tight production would be drastically noticeable. TBB friend, Giles Terera  plays Burr. Without seeing Leslie Odom Jr’s Broadway performance, which earned him multiple major awards, I’d vouch that Terera is surely comparable. Actor & choreographer, Jason Pennycooke effectively brings his big musical production experience. As Hamilton’s friend, French military officer Marquis de Lafayette and doubling up as founding father Thomas Jefferson, he is also perfectly cast. He provides light relief, which is less light-weight, and more this guy knows how to execute comedy timing, wit, vocals and dance moves to perfection. 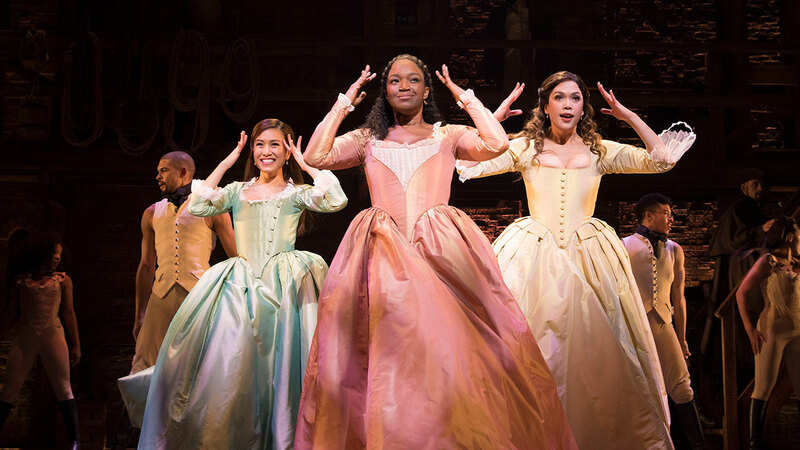 A round of applause goes to Rachel John as Angelica Schuyler, Rachelle Ann Go (Eliza Hamilton née Schuyler) and Christine Allado (Peggy Schuyler/Maria Reynolds). Another goes to recent drama school graduate Tarinn Callander in his professional debút (Hercules Mulligan/James Madison); Obioma Ugoala (George Washington) and Cleve September (John Laurens/Philip Hamilton). Is Hamilton perfect? No. After the intermission, Hamilton suffers the notorious fight to retain the audience’s attention. As such, about mid-way through Act 2, I was on edge, anticipating the point when the Hip Hop might become gimmicky. But, Miranda flexed foresight by not killing us with it and adding R&B and classical musical theatre into the mix. King George (Michael Jibson – the only white lead actor in the show) upset that America has ‘left’ Britain delivers three very funny quirky 60s Brit-pop-esque ditties peppered with jealousy and bitter underlying threats. But, despite the variation in styles, a few songs blend well into each other. Surprisingly, I found myself slightly underwhelmed by the closing number, ‘Who Lives, Who Dies, Who Tells Your Story?’ I guess I was expecting a massive show-stopping finale that would round it all up and carry me out of the theatre unable to stop humming it on the journey home. The pressure of a reviewer is that sometimes you can’t just enjoy a show. As great as Hamilton is, it does present political and social issues. Hamilton has been touted as a beacon of diversity, with its predominantly black/non-white cast and use of mostly Hip Hop to execute the narrative, which is fair. But, Hamilton is still the story of important white men and women and, as it stands, the West End theatre audience remains predominantly white. What if it was a non-white story, not related to slavery and was still able to break records? I had a moment whilst watching it when I wished I was surrounded by those who would have attended the first Snoop Doggy Dog concert at Brixton Academy in the early 90s, and black millennials who’d usually spend their money on a Stormzy, Future or Migos concert today. This is less about a lesson in American history, and more about a people (us) seeing the powerfully artistic music and culture they built used in a setting that would usually reject them. Manuel draws heavily on Hip Hop and R&B greats: Biggie, DMX, Jay Z, Mobb Deep, Nas, Grandmaster Flash and more. ‘Helpless‘, a song about Eliza Schuyler’s love for Hamilton, is inspired by Ja Rule’s legacy of R&B-Hip Hop duets . Hip Hop is fast going the way of Rock’n’Roll and Jazz, what with today’s charts and music awards increasingly dominated by white rap & R&B acts, and Hip Hop uncles happy to create faux Hip Hop stars – see T.I. and Iggy Azalea, and any rapper aged 30+ who collaborated with Miley Cyrus during her ‘I’m rebelling so I’m going to ‘act’ black and ratchet’ phase. There were so many classic Hip Hop references I caught as an aunty of Hip Hop, yet, I would bet my life 90% of the audience missed them. The face of Hip Hop is changing  and Hamilton almost serves as a way to explain Hip Hop to the last audience who need to get it, before we hand ownership over completely. In the same breath, the millennials born of Hip Hop’s creators, have been rubbishing the importance of Hip Hop legends like Nas and Tupac – see Lil Yachty . 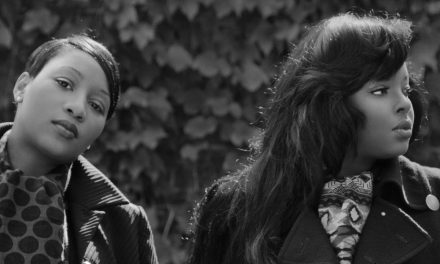 Do they even know who Rakim is, as they co-sign the Post Malones and Macklemores et al? Because, who cares? Hip Hop is universal, right? If we are to reclaim/save the historical narrative of Hip Hop & Hip Hop culture, Hamilton is an important educational tool. 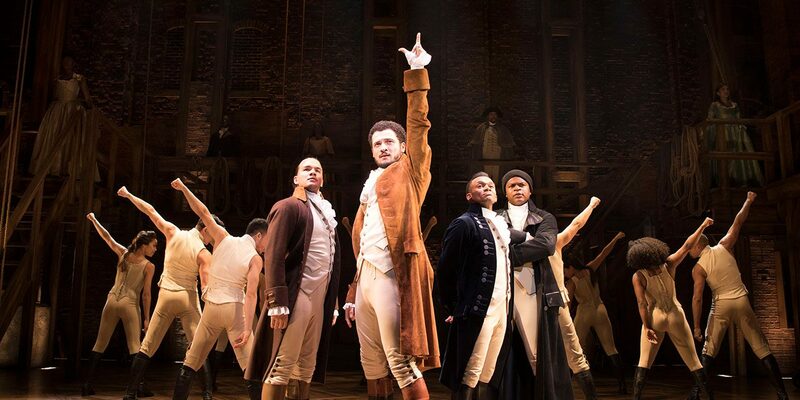 Hopefully, the people behind Hamilton are making conscious efforts to work with and develop community groups, schools, colleges and universities with a high number of black and brown students, who might produce more innovative works. Another point, Miranda received support from the Obama administration. There is cause to wonder if the ‘son of Puerto Rican immigrants’ would have received the same support from Trump! 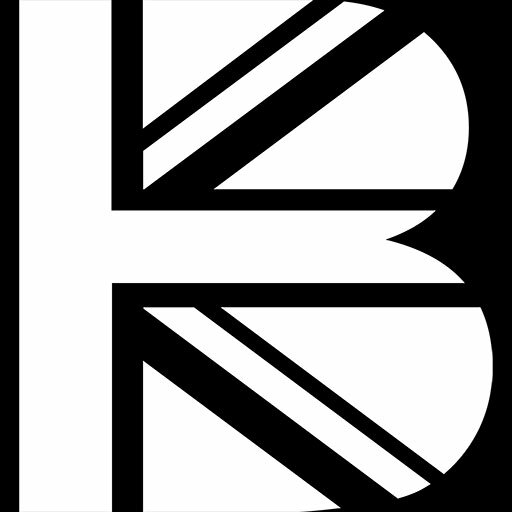 Looking to the UK, there has been a massive injection of diversity in the arts here. 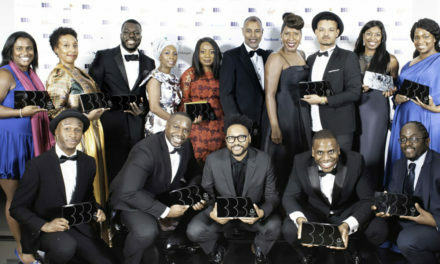 Though black theatre groups are receiving support and more black writers have the chance to produce their stories and sell tickets successfully, the West End remains largely unchanged. 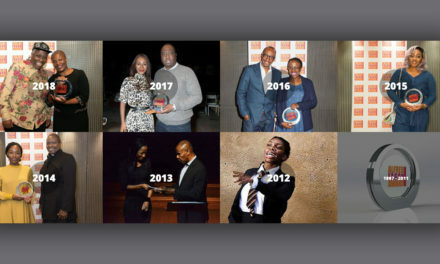 Yes, back in 2013 we had three black productions – Fences, The Color Purple and Amen Corner playing at major theatres (Duchess Theatre, Menier Chocolate Factory, National Theatre), but they were all works by approved African American playwrights. 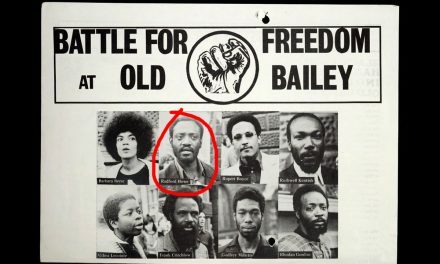 Could the British born son or daughter of African or Caribbean immigrants (let’s say, Paulette Randall, Roy Williams, Kwame Kwei Armah, Michael Buffong), secure the support of Teresa May? 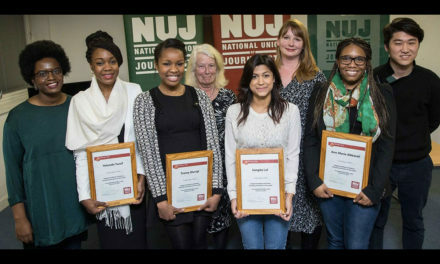 Would 10 Downing Street host a live reading of Inua Ellams’ Barbershop Chronicles , for example? Upon reflection, my slight disappointment isn’t with Hamilton. The mass euphoria over this show is slightly patronising. 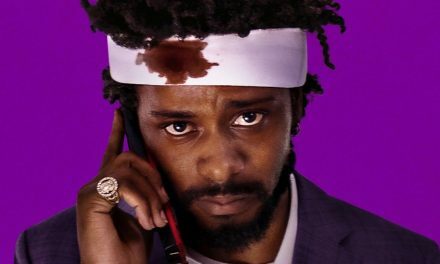 Is the mainstream surprised that Hip Hop can be used in this way, or that the son of immigrants created it (bearing in mind Puerto Rico is an unincorporated U.S territory so technically is part of America), or that a predominantly black and brown cast can command the stage so well? For over 30 years, we who love Hip Hop have known its greatness and after seeing so many Hip Hop and R&B icons in concert, to me, Hamilton is a bit of a no-brainer. Of course a Hip Hop musical can exist in this space! Needless to reference the ongoing debate about diversity in the arts, had the nay-sayers maybe given Hip Hop (and its people) a chance, instead of allowing themselves to be brainwashed by the negative media and record-label sanctioned, super-violent-sexist-homophobic-black-male-monster image, they may not be losing their minds as much. Miranda has purposefully constructed an argument to enforce the necessary diversification of what makes it to Broadway, and yet more so to the West End stage. Thus, Miranda has created the formula for a different type of Musical Theatre. This does not mean we want an abundance of copycats. Do not try this at home unless you’re confident you can do better than Miranda. Hamilton is important. It is a beacon of racial unity. It is a beacon of class unity. It is a necessary beacon for reminding the founding fathers and mothers of Hip Hop that This. Is. What. Hip Hop. Can. Do. I need to see Hamilton again. I would implore you to go and see it and take your millennials with you. Hamilton runs at the Victoria Palace Theatre until July 2018. Tickets are sold out but they are offering a daily lottery. Find out more here. Summary Hamilton is an important piece of theatre. It is groundbreaking in production, casting, and execution. Lin-Manuel Miranda has definitely helped re-clarify the power and art of Hip Hop. What grates, is that those of us who have loved Hip Hop, knew what Hip Hop could do. Of course a Hip Hop musical could break records. So as a result, the euphoria of the masses comes across as a little bit patronising.